Today we travelled south east to the area of Gush Etzion (the Etzion Bloc in English), a small enclave of Jewish settlements that are over the Green Line in the West Bank. It was a particularly exciting day for me as it was my turn to be ‘chanich toran’ (student on duty). We all have to take this role on a rotation basis and it meant that I was in charge of the logistics for the day – making sure that everyone was on the bus, dealing with payment at the sites we were visiting and carrying the rather heavy first aid kit bag. Before reaching the area, however, we made a short stop at the Nacham moshav, just north of Beit Shemesh, which until 1948 was the small village of Har Tuv. 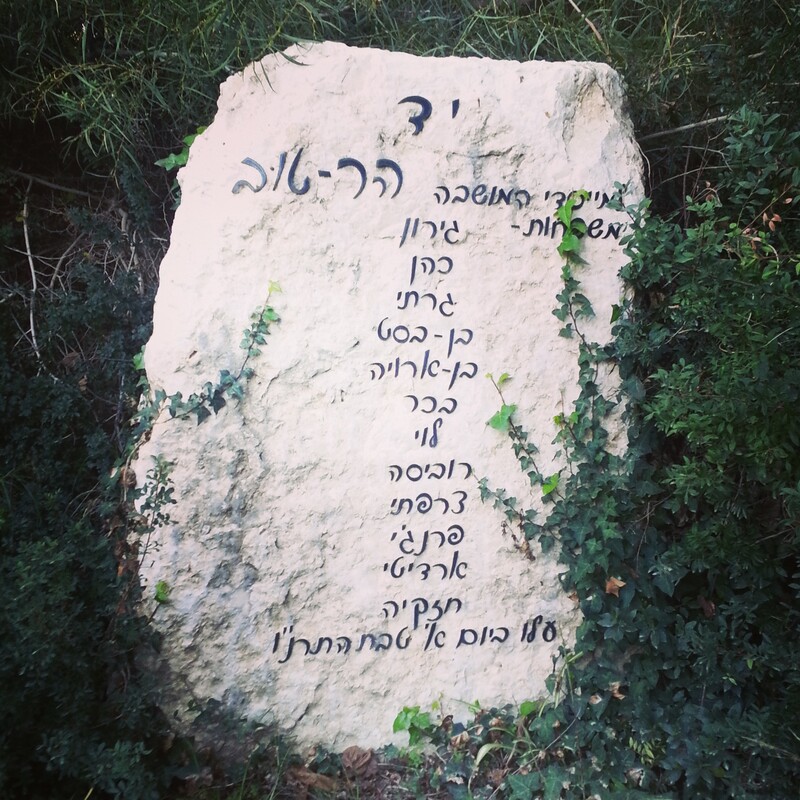 Here began the story of the famed Lamed Hei (the Convoy of 35 – the letters Lamed and Hei represent 35 in Hebrew). With the outbreak of war following the UN Partition Plan in 1947, the settlements in Gush Etzion were becoming increasingly isolated and endangered. They called for more supplies but the road to the bloc passed through the Arab towns of Bethlehem and Beit Jalla and had become impassable. In January 1948 a group of 40 reached Har Tuv with the intention of marching on overnight (using the cover of darkness) to bring the needed supplies. There was a delay in their arrival and in the end they were only able to leave at around 11pm – their commander was urged to reconsider but given the urgency of their mission he felt the need to continue. We continued our journey following the path of this convoy, which soon became one of 35 (hence the name) as members were sent home for different reasons. As we crossed the Green Line at the Lamed Hei checkpoint, we paused to look out to the hill on which they held their final stand. Just here, they were discovered, and all met their deaths at the hands of the local Arab villagers. 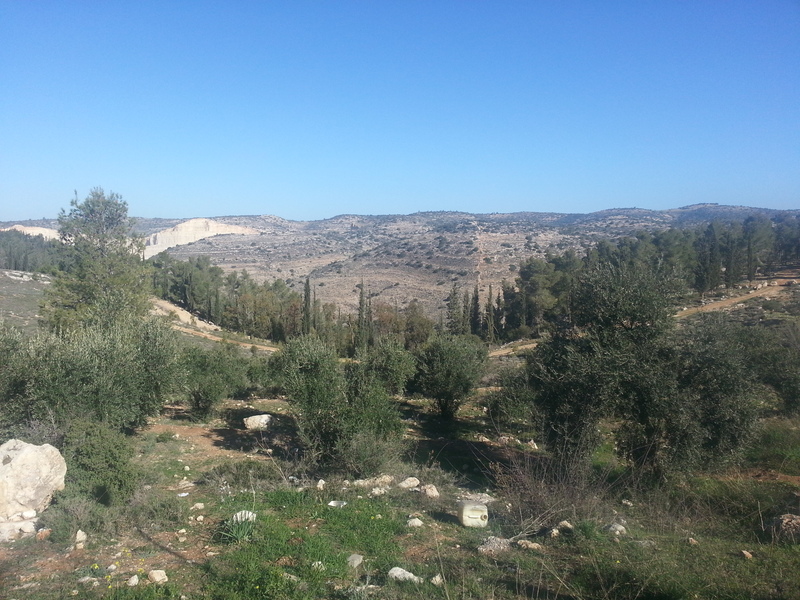 We continued the short journey to their original target, the Kfar Etzion kibbutz. Here we visited a museum detailing the history of modern Jewish settlement in the area, dating back to the 1920s. The museum concluded with a powerful film about the sad events of May 13 1948, the day before Israeli Independence was declared. The Jordanian troops captured the kibbutz and its defenders; then began a massacre of the prisoners. It is unclear exactly how it happened or who ordered it but over 100 people died as a result; their bodies remained unburied until a special agreement with Jordan in November 1949 permitted the gathering of their bones; they are now buried at Mt Herzl in Jerusalem. Before the battle the children and many of the women of the kibbutz had been evacuated to Jerusalem; after surviving the war they used to gaze out to the area of Gush Etzion and dream of a return. When in 1967 Israel seized the West Bank as part of the Six Day War, they petitioned the government to be able to return to their previous home, and were granted permission; hence Kfar Etzion was the first Jewish settlement to be built over the Green Line after 1967, although perhaps it would be more accurate to say ‘rebuilt’. 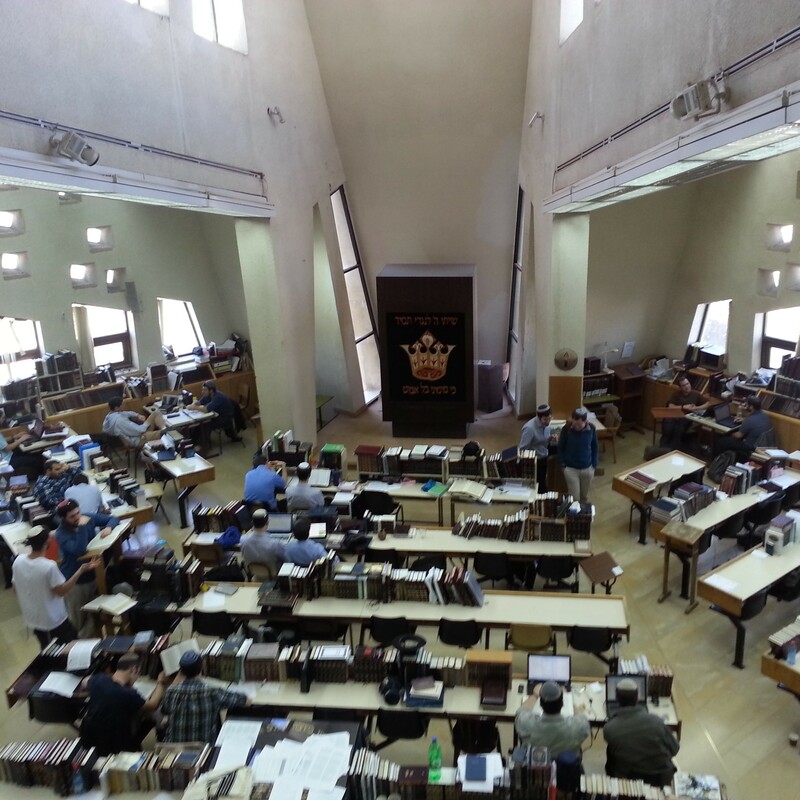 From Kfar Etzion we travelled a short distance to Yeshivat Har Etzion, the first Hesder Yeshiva, which enables young religious men to combine their army service with traditional study of Jewish text. There are also many foreigners who come for one or two years before or after university, and many of my contemporaries at Cambridge had studied in ‘the Gush’. Known for its intellectualism and openness to secular scholarship (the current head of the yeshiva is an expert on Milton), it was for many of our group the first time in such a setting and all found it very interesting. We popped into the library also where of most interest where the 500 year old books we were allowed to peruse. A big thanks to Rabbi Joe for facilitating this last minute visit! 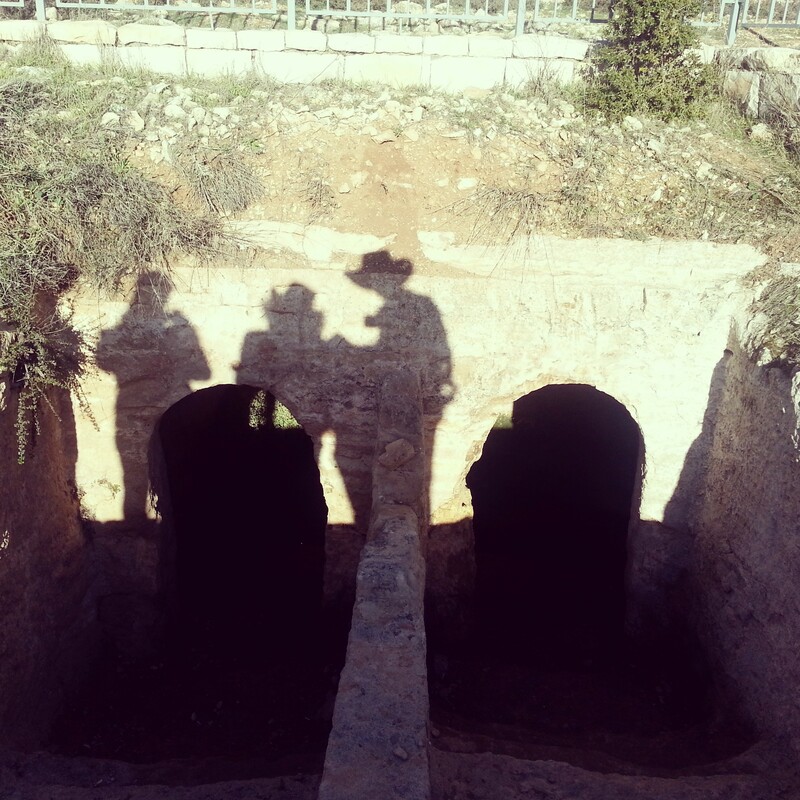 After lunch, it was time for some archaeology, as we visited the Biyar Aqueduct, one of the sources of water for Jerusalem from the Roman period. 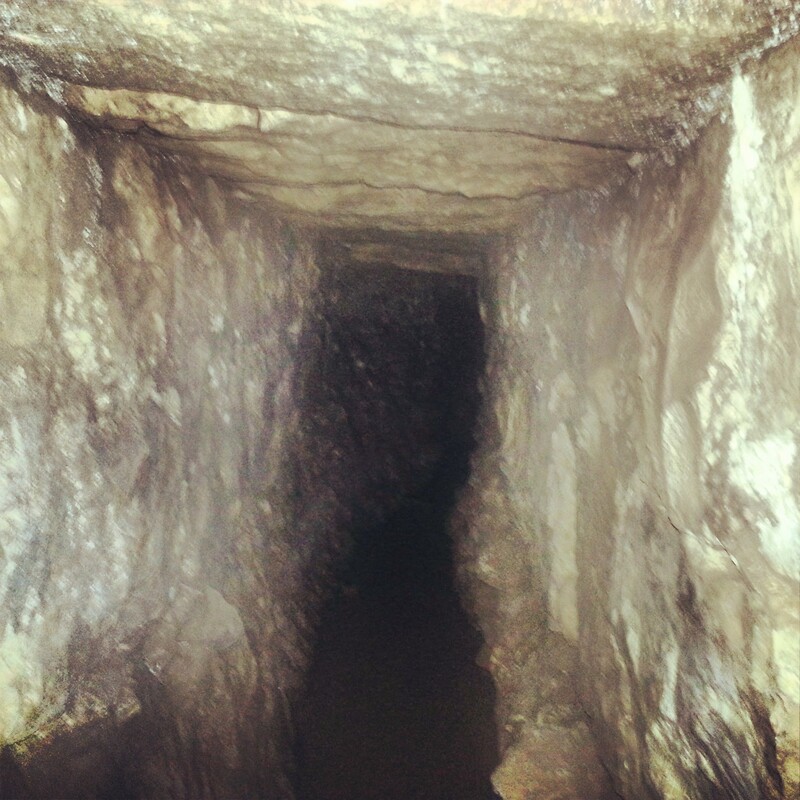 It is incredible to think that 2000 years ago an aqueduct was constructed starting here to reach Jerusalem, 20km away. The aqueduct leads from a natural spring and some of the more hardy members of our group walked down part of the tunnel – the freezing cold water put me off – I think this is more of a July than a January activity! 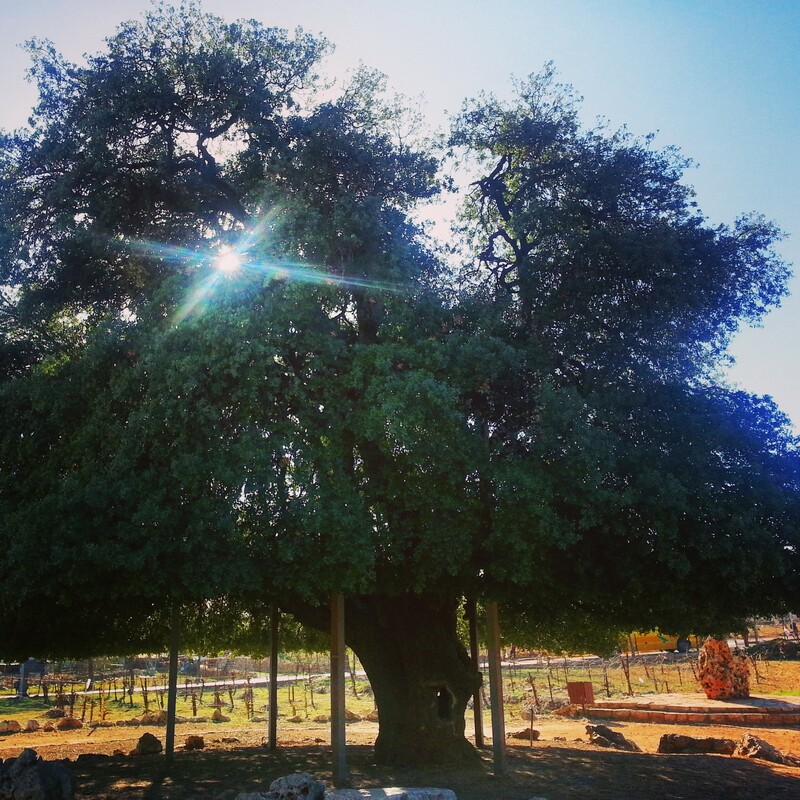 We then travelled to the ‘Lone Oak’, an ancient tree that was in the middle of the Etzion Bloc in 1948. After the war, descendents of the Bloc settlements would be able to see this tree from beyond the Green Line, and would gaze out to it as marking their former homes – it became a symbol for the area and is still revered today. Estimates put it at around 700 years old. A short walk took us along an ancient Roman road which has been called ‘Derech HaAvot’ (The Road of the Patriarchs). The bible relates stories of Abraham and Jacob being in this area – if this was a road in Roman times then perhaps it is along the lines of a more ancient pathway upon which their feet would have trodden? 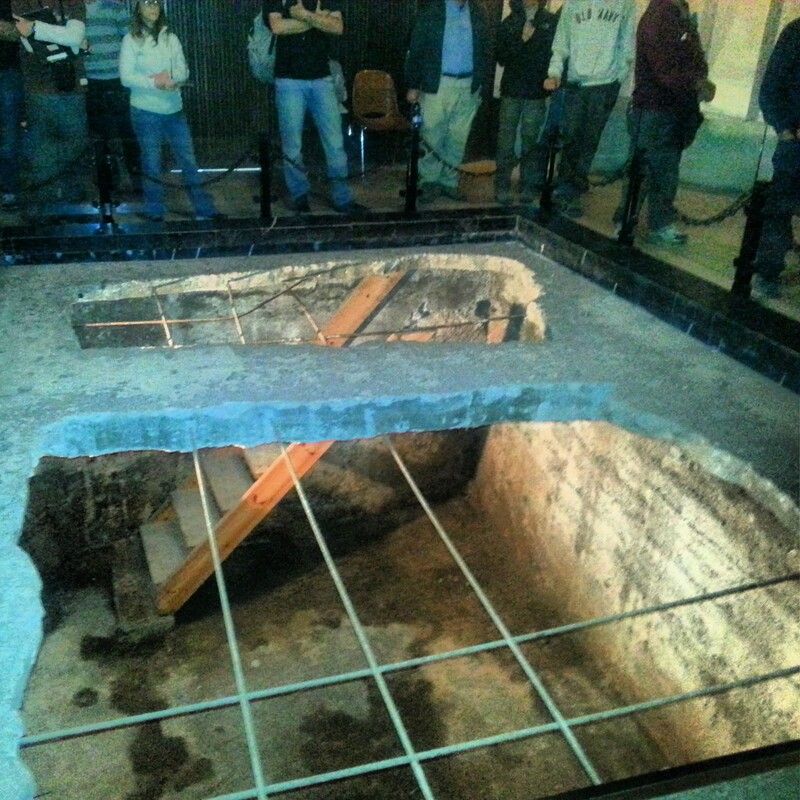 Certainly Jewish feet have walked along the route – we found the remains of a grand mikve (ritual bath) from the Second Temple Period – it seems pilgrims en route to Jerusalem would have used it for purification on the way. We concluded our day Mitzpe HaElef (Viewpoint of the Thousand), located in Neve Daniel, the highpoint of the Gush. Neve Daniel contains a peak that reaches 997m high – so they built a viewing platform at a height of 3m, taking it to a handy 1000! Unfortunately electricity pylons obstructed the best part of the view but still there were commanding vistas of the Judean Hills, Herodion and Jerusalem itself. The day was over, I had managed to get everyone home and did not need to open the first aid kit once. All in all, quite the success!